Want to know what I thought about this performance?! I assume you do because you are here and still reading! I truly do feel like crowds/audiences matter. I have seen shows in which the crowd give Duran Duran a boost as if the audience was sending energy directly to the band. I have also seen shows in which the crowd lacks excitement, bringing Duran down or making it REALLY hard for them to keep up their enthusiasm. Then, there are shows like this. The Killers played right before Duran and I watched in shock at how much they had to really push to get the audience involved and excited for even some of their biggest, most well-known songs like Mr. Brightside. The audience wasn’t having it. Was the crowd there to just see Kanye or to see Lil Wayne? Clearly, if the Killers weren’t their thing, it was going to be super tough for Duran. People were obviously sitting. Even when the camera scanned for someone excited, someone who might know the lyrics, it seemed to be a struggle to find any sort of fan or positive energy heading Duran’s way. It was upsetting for me to watch as I could tell that they were giving it their all. I wonder how many Duranies actually attended this festival. I don’t really know anyone who did and I have to wonder if that would have made a difference. Duran kept to a hits based setlist, much like the Killers did, frankly. Duran played Wild Boys, Hungry Like the Wolf, Pressure Off, Ordinary World and Rio. I think it is pretty standard for bands/artists to play big hits when playing a festival. After all, the crowd is not filled with just Duranies, but with people who might not know Duran or might not know them well. Therefore, it is safe to play the hits as maybe some people will recognize them, remember how good they are, seek out albums, etc. Yet, I don’t think that works as well for a festival like this one. It seemed to me that most of the audience was young–far too young to know any of those hits, including the most recent, Ordinary World. So, if they don’t know the hits anyway, would Duran have been better to showcase more of their new stuff? After all, we know it has a very modern sound to it. Could they have won the audience over somewhat with new songs? Maybe. I just know that by the time Pressure Off was played, most of the audience had stopped paying attention, which is really sad because it is very clear that Duran is loving that song and love playing it live. By the end of the night, most of the discussion on Twitter began to focus on Simon and concern people have. He seemed to really strain himself during Ordinary World and people commented about how that seemed to be the case during the Today Show mini-concert, too. I have heard from other fans that they assume he isn’t feeling well as he was blowing his nose a lot during the show at Terminal 5 (Look for a guest blog on that show soon!). I obviously don’t know if he is fighting some sort of bug or what, but I do know that I saw a lot of concerned fans last night who are only focused on Simon’s health and well-being. So far my commentary has focused on some of the less than thrilling thoughts I have regarding last night’s performance but I don’t want to leave you all with the impression that nothing was good about last night. On the contrary, there was plenty right with last night. First, it was a heck of a lot of fun to virtually hang with other fans while watching and I was pleased to see so many fans join us despite the lateness of the hour. Second, it is ALWAYS good to see a performance of Duran’s. All it takes is one or two moments to remember why you love them so. For example, seeing John, Simon and Dom in a row on stage rocking out to Wild Boys always gives me goosebumps. Seeing the playful exchange between Anna and Simon during Pressure Off only increases my excitement in seeing that one live. EVERY. SINGLE. MOMENT. of JoSi (John and Simon) or DoJo (Dom and John) reminds me. Speaking of DoJo, was it my imagination or were there tons of DoJo moments?! It felt like practically every song featured a moment or two! As Rhonda and I were pointing out last night, those DoJo moments at the Bowl will be “sweet torture”. We cannot wait!!! Beyond all of that, the fangirl in me is forced to admit that they also looked pretty dang good last night!! I might have squeed a time or two when the camera moved to that bass player guy. Enough about what I thought! What about the rest of you? What did you think of their performance? The crowd? Anyone actually there in attendance? If so, I would love to hear your perspective! All I do know is that it is going to be a long 10 days before I leave for tour! This announcement caused quite a buzz in Duranland! Many people were just super excited to see another show be added to the tiny list of shows Duran Duran has scheduled for this year. Others focused on the fact that it is Nile’s festival and that there is a chance to see Nile perform with Duran or vice versa. Many started seemed to be thinking about attending the festival, which is great! Will the Daily Duranie be there? Only in spirit, sadly. 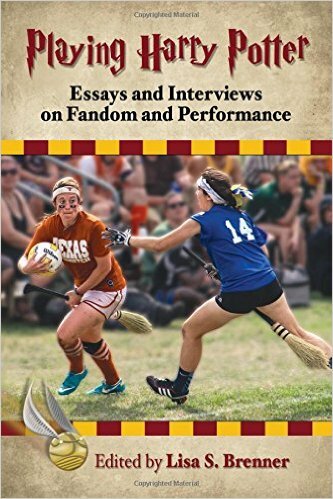 While this festival of ALL the festivals offers the most appeal to us, we still aren’t fans of festivals. (Please see the 120,000 + posts about why.) Nile definitely makes it tempting but…it isn’t enough. If it was tied to something else, then, I would consider it. That said, I’m super excited for those that go and I know that we would love, love, love a guest blog or two about others experiences! Of course, the next question that everyone seems to ask is whether or not there will be more shows added. I wish I knew. Heck, I wish I had some insider info, but, alas, I just write a blog. Therefore, like all of you, I am forced to read the fine print and ponder what has been written. One thing I keep thinking of is this sentence from the email blast that went out on June 2nd: “NOTE: MORE 2015 DATES ARE COMING!! Please keep an eye on your inbox over the next week or so as you will be the first to get the details!” There has been one date announced since this email went out. That date was, indeed, the FOLD Festival. Therefore, I’m focusing on the word: “DATES”. Dates. As in more than one. I won’t give up hope of seeing a full Duran Duran set during 2015. Not yet…anyway. I also took note of the “next week or so” statement. A week from the 2nd is the 9th. That is coming up. Of course, the “or so” parts means that it can be slightly before or after the 9th, right!?! I’m nothing if not an optimist. Perhaps, I’m being a naive optimist. Time will tell. This all leads me to an email exchange between yours truly and that other half of Daily Duranie. 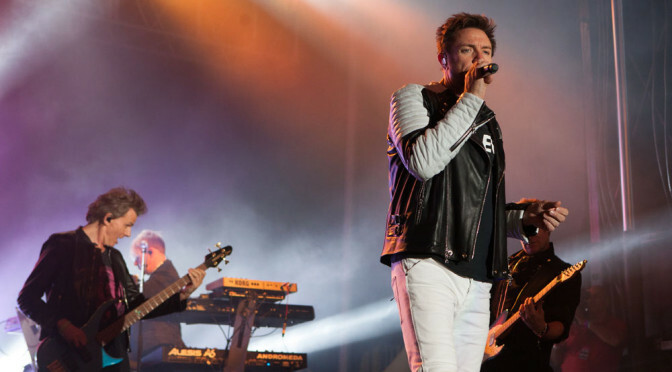 There’s no arguing it, Duran Duran is doing a lot of festivals this year. Fans are beginning to talk, and the chat is not always positive. This is likely not a surprise to DDHQ, as no matter what the band does there are always those that are unhappy, but festivals in particular seem to draw a loud dissension among the ranks. Let’s discuss! First of all, let’s talk about the positives. Despite cries from longtime, diehard Duran fans – there ARE positives to doing festivals, and not all diehard fans dislike festivals. Many fans LOVE them, so I applaud them even as I question their sanity. Playing festivals allows bands to reach a large cross-population of people. When you’re playing a festival that features sixty bands, for example – the reach is wide. The Killarney Music and Food Festival has everyone from The Proclaimers to Burt Bacharach across six stages. The cross-section of people available to hear the band’s music, most likely new music at that point, is exponentially larger than they could ever hope to gain by doing ten shows in ten different cities. Travel less, reach more possible fans. Sounds like a great way to showcase a new album! It is a numbers game, and in order for Duran Duran to even begin to hope to sell this new album, much less receive any kind of land/internet radio support, getting that music heard by as many NEW people (not diehard fans, mind you) is key. Granted, there are downsides to festivals, and most of those, I don’t even really have to work that hard to name. The crowds, the distance (it is a long swim from the US to Ireland, The Netherlands or Spain), the fact that not many of us are really THAT young, and we would much rather be treated to “special” shows under unique circumstances than as cattle, the potential weather issues, standing all day, mosh pits, the lack of leaving your spot to find sustenance and/or restrooms, the crowds…being kicked in the face by crowd surfers (personal experience, sorry! )….and the fact that damn it, we’ve put our time in…can’t we have some regular shows in normal venues where we don’t feel like we have to fight a war before the band comes on stage?!? Festivals = A Necessary Evil?? Here’s the thing: I’m not sure that these festivals are really FOR diehard fans. Granted, if you want to go, no one is going to want to stop you, although a lot of us might really wonder how desperate is desperate enough to go to a festival (well, maybe that’s just me, and believe me – I’m getting pretty desperate myself! ), but I’m just wondering if the real purpose for these festivals is not so diehard fans who are already about 95% likely to buy the full-album in one form or another show up; but instead so that people who are a whole lot less likely to even consider buying a Duran Duran album get exposed to new music, and for a lot cheaper than the band schlepping across the planet a couple of times over the course of the next couple of years. Perhaps our time for real shows where the band concentrates on playing for real fans will come a little later, after the album has already been out, people have heard it, and will then invest in coming to see them in concert…or like many of us, try to do as many shows as possible without losing our jobs!! All of that said, rest assured as we each hear of additional festivals in far away places being announced, just a little more anticipation is trickled into the pool forming in the pits of our stomachs. Deep sighs commence as we read of the fun taking place elsewhere, knowing that for most of us, the chances of attending are practically zero. We hope for more plausible opportunities ahead, but are excited that at least somewhere in Europe, there are Duran Duran fans excitedly purchasing festival tickets. And there is always the hope that tomorrow, or the day after tomorrow, and so on, we have the chance to be among the lucky few. Until then, we wait. We’ve been waiting since 2012 for a real tour to be announced, surely we’ve gotten good at waiting by now, right?? 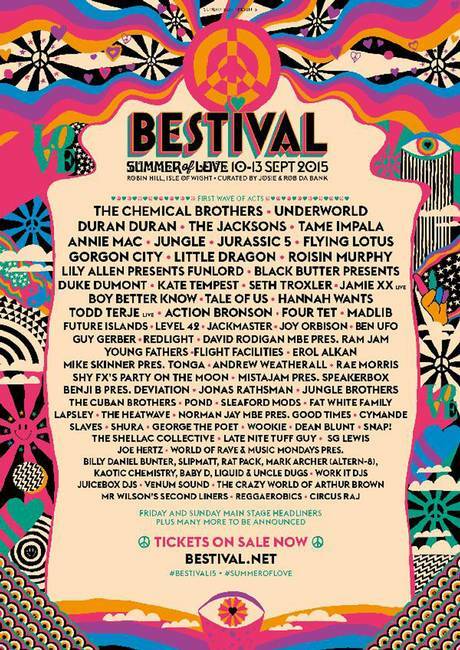 Bestival 2015 with Duran Duran! Those who surmised that the band would likely play some scattered festival dates this summer in the EU/UK seem to be on the right track! Daily Duranie guesses that by this point, if not by summer – new music from #DD14 should likely be featured in the set list! It is wonderful to see new shows being announced, with what I am sure will be plenty more announcements to come. On today’s date in 2005, Duran Duran played the Summer Sonic Festival in Osaka, Japan. Additionally, I found an MTV interview with John & Nick from the Summer Sonic Festival. On this date in 1985, Duran Duran played at the Montreux Pop Festival in Switzerland. This festival was part of a larger jazz festival, which is probably the best known festival in Switzerland and a big one for all of Europe. I have to wonder how things were for this performance since we now know that life in Duran Duran wasn’t all that happy for them at that time. What do you think of their performance? Do you see any unhappiness? Any tension? Out of sheer boredom last night, I was online (my husband is in Japan for the week and my kids were either doing homework or sleeping!) and looked over all of the announced concert dates for the band. I don’t really know what I was looking for – but I guess that after the dates being either leaked or announced like a drippy faucet, I had the sense that I’d lost track of what they were really doing. As I looked over the dates, it seemed to me that they have the intention of doing quite a few festivals this tour. Interestingly enough, as I use the word ‘tour’, I really don’t consider festival dates part of the tour, per se. When I think of tour dates, I think of dates where you’re going to hear a full-set and Duran Duran would likely be the only band playing (along with an opener, perhaps). The festival dates are sort of like bonuses….I guess. I thought back to other tours, and either I didn’t pay very much attention (very possible! ), or I’ve grown hypersensitive to festivals being announced because I refuse to attend, but it just seems as though they are trying to do more of them this year. Naturally, the reasons for doing so are obvious – you get your music heard by an audience that might not do so otherwise, the venues are unique and large, and I would imagine that the overall ‘bang for the buck’ potential for the band is huge. I am fairly sure that they don’t have to pay much of a venue fee – certainly not anywhere near what they would have to pay in order to play at a venue by themselves – so that’s gotta help them somewhere along the line as well. I can’t really fault management for pushing them in this direction, for all of the reasons listed above, likely many more that I haven’t even thought of yet. Of course, I’m also looking at this from the prospective of their everyday fan. We’ve been told the band is going to do more dates, both in the US and worldwide at a later point in the year. There are numerous rumors (which in my opinion are no more reliable than educated guesses at this point) as to when they’ll do a full tour here and elsewhere, so we do have some comfort in knowing that at least for now, this is what they are planning. For many of us, festivals aren’t our idea of the best circumstances under which to see the band. If you’ve been reading the blog with any kind of regularity – you may have noticed my mentioning a lack of love for festivals. Maybe. 😉 I’m thrilled the band is going to have the opportunity to get their music and more specifically their new music from this current album heard by thousands of people that probably would ignore it otherwise, don’t get me wrong. However, the more selfish part of me is saying “Hey, wait a second here – if they’re breaking up their tour with all of these festival dates – is it just a way to cost cut for themselves so that they’re still getting lots of playing time in front of audiences and we real fans end up with less REAL dates in the end unless we’re willing to do festivals?” Then I slap myself back into submission and all is well again. 🙂 I don’t think I’m alone in my thoughts on this one. I’m sure many will say that we need to wait until all of the dates are listed before throwing complaints – and I would agree. I’m merely putting the subject out there for discussion. Then again, maybe they aren’t really doing as many festivals as it would seem. Regardless, even if it is to MY detriment as a festival-hating human being, it appears as though the band is doing what they need to be doing to get their music heard. Over the years, plenty of us have cried out and complained about their lack of promotion, whether that’s the fault of their management or the label that they were with at the time. Interestingly enough, I never felt that their promotion was so horrible. They did what they had thought was right – plenty of print media, lots of radio promo where they were able to get in, the talk-show circuit, and even a signing or two. (truthfully though, that was for the fans, and I’m eternally grateful for that!) I might suggest that perhaps, just maybe, they’ve revamped and reconsidered what it really takes to get music heard these days. Maybe all of that media is fine and good – but what they really have to do is go to places and play to audiences that wouldn’t have given them the time of day otherwise. A captive audience so to speak. Sure, people could look at the lineup and say “Duran Duran? No way am I staying to hear them.”, just in the same way that I would say that about just about any rap artist out there – and I get that even if I think those people are bonkers. However, I’ve never looked at a festival lineup and decided not to go to over one single artist playing. In fact, I’ve gone to a few festivals where there’s only been one artist in the entire lineup that was excited to see – and I’ve come away from them (in most cases) learning of another band that I really like. That, my friends, is REAL promotion whether it’s what I know and love or not.